***Cops & Campers registration is now open. Please visit the Community Programming link on the the police department website to register. Cops and Campers youth summer camp is FREE to all students selected and includes activities and games as well as age appropriate lessons. Each weekly camp will also feature guest speakers and a field trip. 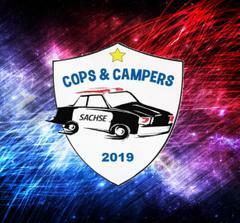 The camps are run by the School Resource Officers from the Sachse Police Department in conjunction with select high school students and PTA members.